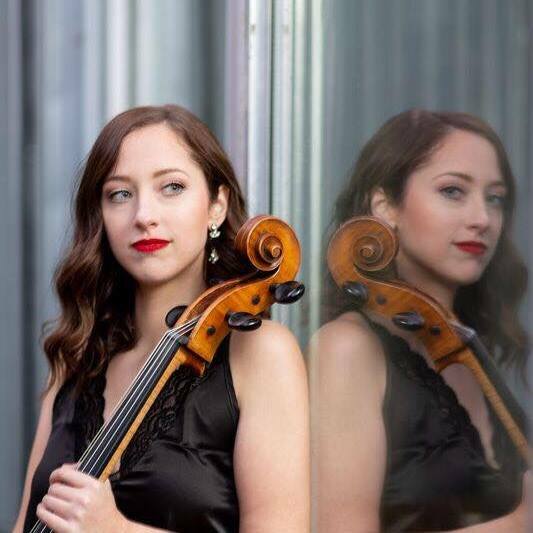 We caught up with Megan Chartier, a brilliant cellist and Eastern Michigan University graduate who won the Manilow Music Scholarship in 2012. Megan edged out her competitors by performing two movements from Bach's 2nd Cello Suite, an experience she says was "a huge morale boost in moving forward with my career. That was the first competition I had ever won." "I was an insecure musician before I won and afterward, I felt affirmed to be really gutsy in taking musical and life risks. Also, my parents chose to drive out to that competition and then seeing me win was a special moment in them realizing that I could actually be a musician for a living. I was in undergrad when I won. I ended up getting into one of the Top 3 cello grad schools in the country afterward (University of Michigan) and won several competitions there. After grad school, I moved to Miami to become the principal cellist of the Miami Symphony and played with various other orchestras. I’ve since moved to Austin, TX to prepare for larger orchestral auditions. I recently played with the Moscow Symphony Orchestra in Russia — I was recently runner up for a position with the Dallas Opera — and you can hear my playing on parts of the soundtrack for Netflix’s Godless." We are ecstatic to report Megan's many successes since winning the Manilow Music Scholarship! From everyone here at The Manilow Music Project, congratulations, Megan, and may your career be filled with even more success. We know it will be!